Do you have a wet basement and need water restoration? Storms of all kinds are a part of life here in Mooresville, Indiana. We follow our weather and usually know when things will get wet or when winds will arrive. We have many low-lying areas in Morgan County and we all know that flooding is to be expected although we don’t look forward to the outcome. But you know what to prepare for, and so you do. You check windows and doors, drainage systems, and you make sure everyone you care about knows what to do in those events. Quite often, storms can cause the least expected things to happen. After a severe rainstorm, your property can suffer from an infestation of insects, for example. They might be seeking higher ground, or their nests were destroyed and they need to build again. Not something you would be thinking about, but it can happen! Make sure you know who to call if you develop a problem like that! In the event of tornadoes, large items can end up in the most unexpected places! We’ve all heard stories or seen pictures of cars up in trees, or an entire outdoor table and chair set sitting in another yard down the street. This, too, is not something you would expect. What will you do if that happens? Our professional cleaning company, SERVPRO of Morgan & Putnam Counties is ready and waiting to help you if your neighbor’s stuff ends up on your property! 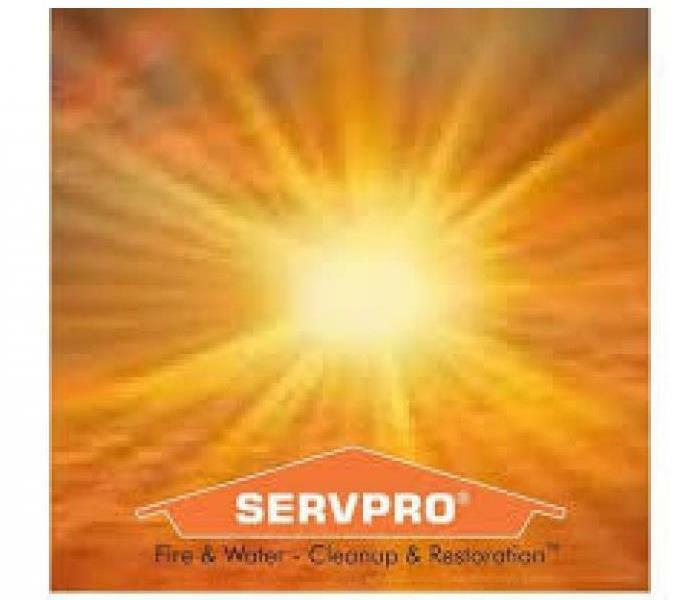 We are always ready to help in the event of water or fire damage here at SERVPRO of Morgan & Putnam Counties. Visit our website https://www.SERVPROmorganputnamcounties.com/ or call us at 317-834-6382. Is Your Business Prepared for Spring Storms? Flooding can happen any time of year, but here in Morgan County, springtime can be especially true! All that rainwater can be devastating to your business causing damage that can take a significant amount of time and expense to repair. SERVPRO of Morgan & Putnam Counties wants to provide you with maintenance tips on being proactive for the rainy season and any possible flooding; preventive measures will reduce the amount of flood damage your business sustains and the time it can take to bring your operations back to normal. GUTTERS: Well-maintained gutter systems do a great job diverting water to proper drainage areas. If your gutters are clogged with dead leaves and debris, rainwater can overflow and saturate the ground around the foundations causing damage there while backed-up water can spill into wall structures. A regular cleaning schedule for your gutters is a good idea. Remember: mold spores begin to grow rapidly if left alone in just 24-48 hours! STORM DRAINS: The storm drains on your commercial property need to be maintained properly at all times, but most especially this time of year. Storm drains are in place to move excess water away from buildings and parking areas. Keep an eye on all storm drains, including those nearby that your local government maintains around your property. RESPONSE PLAN: You should have a plan ready for your employees before inclement weather hits. In the event of flooding, make sure you have a system in place to communicate with everyone as to their safety. Always remember to not drive through flood waters! Keep tuned into your local weather updates. SERVPRO of Morgan & Putnam Counties is always ready to help if your business does sustain storm damage. Is Your Home Prepared for Storm Damage? Yes, it’s that time of year again! Storms can come upon us without much warning. Are you prepared for this season’s unpredictable weather? An inspection of your property is a really good idea to conduct before inclement weather hits. A leaky roof or windows can cause big problems during heavy rains. Do all your exterior doors and windows fit correctly? Is your weather-stripping in good shape or does it need to be replaced? When’s the last time you took a look at your roof to see how things are looking up there? These are all great questions to ask yourself. Do you live in the city with drainage ditches at the front of the property? Take time to inspect this area and remove debris or dirt that might obstruct the flow of water from heavy rain. A clogged drainage ditch can cause a lot of damage by flooding your property during, or even after, a storm. Loose gutters and shutters can present a real problem in high winds, as can unstable large trees. It always a good idea to trim back trees and bushes with large heavy branches that are not in good condition so that windows and vehicles are not in danger of storm damage in windy conditions. In the event of a storm, do you have a system in place that will help you to get information to everyone in case of a weather emergency? Contact our highly trained technicians at SERVPRO of Morgan & Putnam Counties in the event of storm damage, fire damage, or mold issues. Water damage can have many sources, from loose appliance hoses to overflowing toilets and even natural disasters. Regardless of the source, the crew at SERVPRO of Morgan & Putnam Counties can handle any size disaster. Even though most Homeowners insurance policies cover water damage, it can be easier to prevent the damage rather than go through the stress and headache of the mitigation, repair and claims process! On a rainy day or during a spring thaw, a clogged gutter can send water spilling into your home’s foundation, through the roof, or down to your basement. 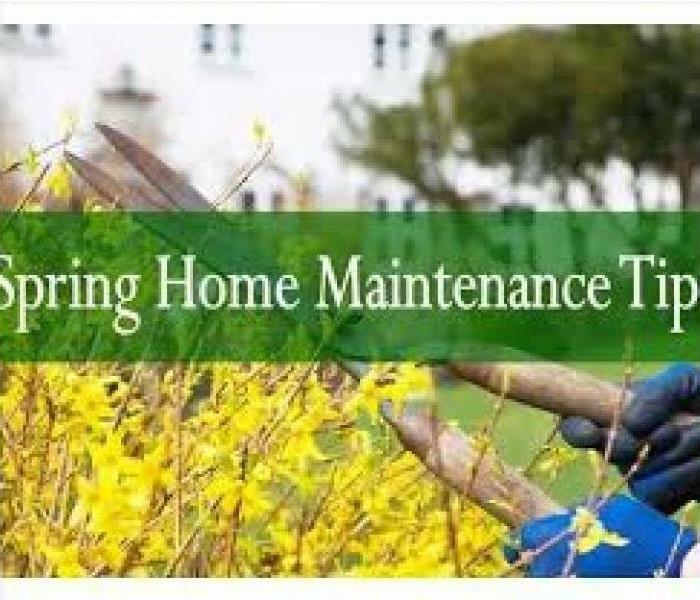 Simple, routine maintenance can help prevent water from unnecessarily flowing into your home. Some plants and trees have very invasive roots; while all plants' root systems will grow and extend in search of water, some can be aggressive in their hunt for moisture. Watch for any plant growth into your sprinkler system, drainage field, pipes, and septic tanks. Plan before you plant to keep roots away from any water lines. It is always best to avoid pouring grease down your kitchen sink. Grease will congeal and cling to your pipes, causing serious damage and blockage over time. The best course of action is to pour your grease in an empty disposable container and either let it sit; once it hardens, toss it in the trash. Monitor your water bill, if you have a significant change in your normal water usage, it may be an indicator of a leak somewhere on your property. A good alternative to chemical drain clears is a drain snake. Clogged sink or shower drains are going to happen from time to time. When these problems happen, most people typically reach for a chemical drain cleaner. Chemical products tend to be very effective and convenient, but they are also comprised of caustic chemicals that will also damage your pipes. Regular use of these substances can eventually cause holes to form in your pipes, which obviously leads to leaks. Unfortunately, disasters will still strike. Contact SERVPRO of Morgan & Putnam Counties. When the SUN comes out, will your place be DRY? Now that spring is here, it is the best time to inspect your home or building for weather-related damage. SERVPRO of Morgan & Putnam Counties knows that the past snow and ice buildup, heavy rains and strong winds can all cause problems with your property. Roofs, gutters, and landscapes are exterior elements that should be checked to guard against water damage. Remember to look in attics, basements or crawl spaces for visible signs of water intrusion. Make sure outside vents are clear of any obstruction to ensure proper air flow. Ways to Prevent Water Damage 1. Clean and inspect gutters regularly. 2. Keep downspouts clear of any blockages. 3. Repair or replace roofing as needed. 5. Check for any cracks or peeling paint. These could indicate moisture retention. growth of mold or mildew. When hiring SERVPRO of Morgan and Putnam Counties, you can be assured of their services. These professionals use a plan to do the fire cleanup and prevent further damage that could be caused by water or the restoration process. All the items that could be repaired are salvaged and taken to their facility for specialized repair. Other items that require cleaning such as carpets could also be taken up for proper fire cleanup. 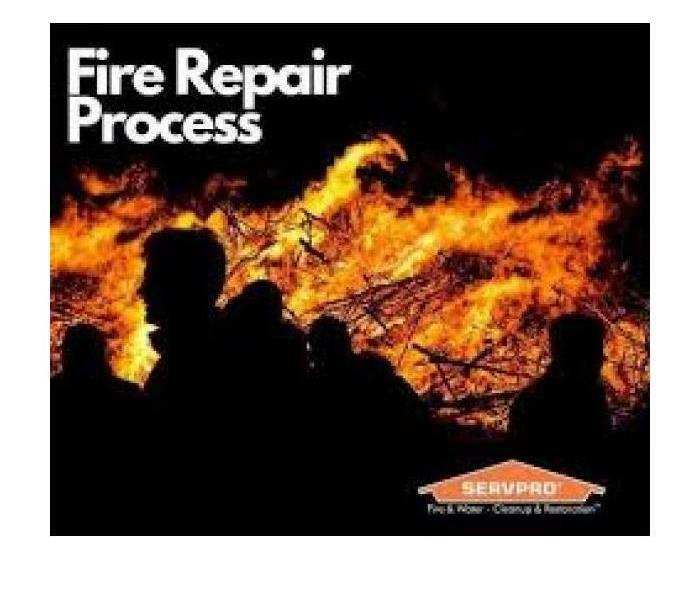 https://www.SERVPROmorganputnamcounties.com for more information on fire damage. 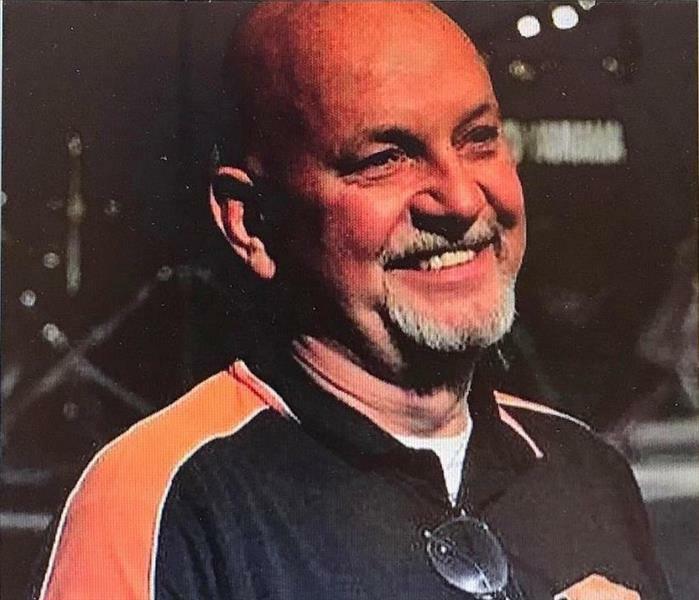 The Community Foundation of Morgan County Executive Director, Ed Kominowski, is leading the podcast dialogue with Neal McNalley, Owner of SERVPRO of Morgan & Putnam Counties. After water leaks or flood damage, if not properly dried and treated, a home or business can develop mold from the moisture left on wood, tile, carpeting, windows, concrete, and/or other materials/items that were affected. SERVPRO of Morgan & Putnam Counties strives to prevent secondary damage every time we remediate water damage. Building material and flooring are dried and treated to prevent mold and other allergens/contaminates using specialized equipment and cleaning products. 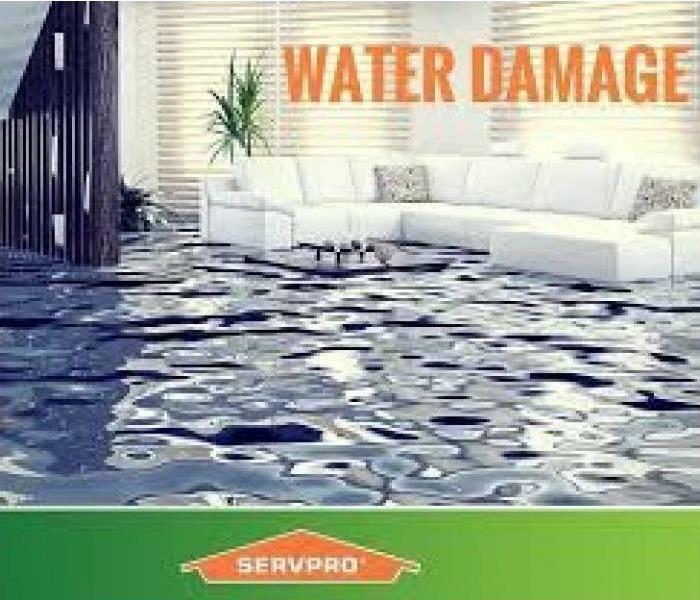 Should you ever suffer water damage due to a water heater leak, sink overflow, fire, refrigerator leak, excessive rain, storm damage, leaky roof, flood damage, or any other reason water has invaded your home or business, please know that SERVPRO of Morgan & Putnam Counties is here to help. Faster to Any Disaster. Like it never even happened. 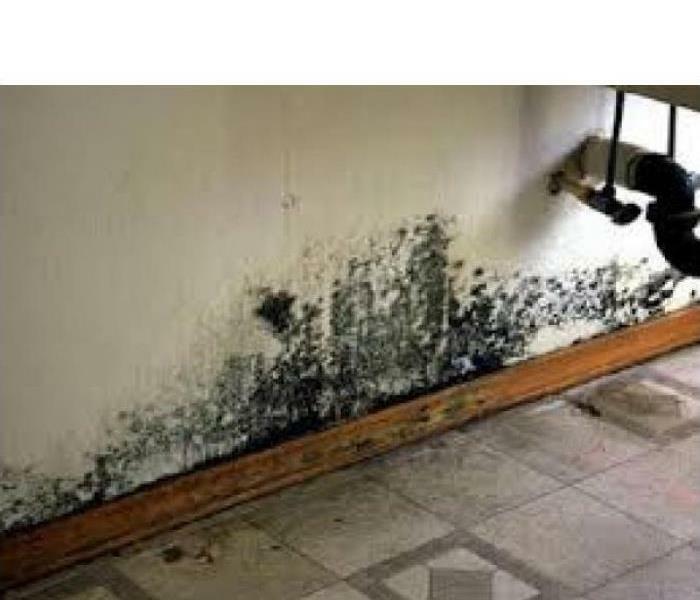 Because mold spores move quickly through the air and multiply on almost any surface they land on, it’s important that you squash the spreading mold in your Mooresville, IN home quickly and meticulously. Don’t let the thought of mold stop you in your tracks. With mold remediation, you can have your home and peace of mind back in no time. 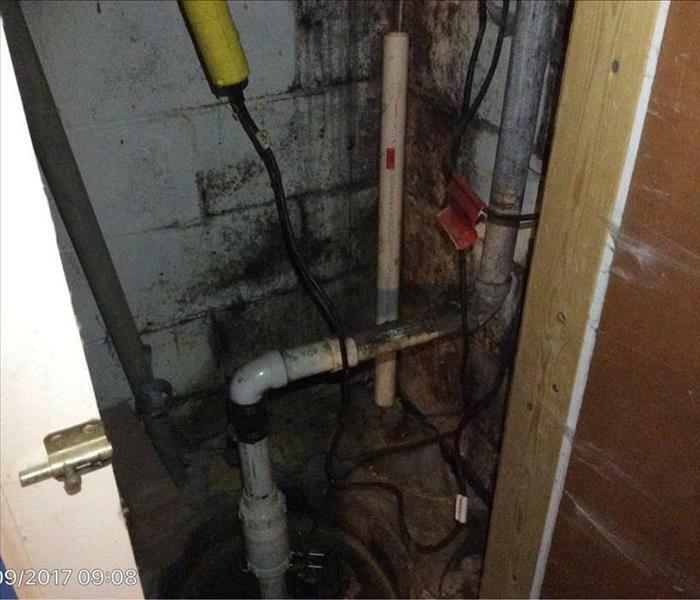 4/4/2019 - Do you have a wet basement and need water restoration? 3/22/2019 - Is Your Business Prepared for Spring Storms? 3/22/2019 - Is Your Home Prepared for Storm Damage? 3/22/2019 - When the SUN comes out, will your place be DRY?